Alfred Stieglitz, well-known photographer of Georgia O'Keefe, believed in the fragmentary nature of the portrait, stating that a portrait must evoke the countless aspects of the self rather than capture likeness. https://skillcare.com : on the go site for learning art skills in portraiture, photography, painting, and lots more. In executing a portrait, getting to a likeness requires lots of skill and sensitivity to the person being drawn, painted or photographed. However, Stieglitz's thought makes portraiture painting an art, rather than a dead-end. Who we paint is more than the model's face we see. These following portraits were painted in a past time . Do we glean any meaning or prominent personality from these portraits? And does more expressiveness always capture the personal essence of the portrait? 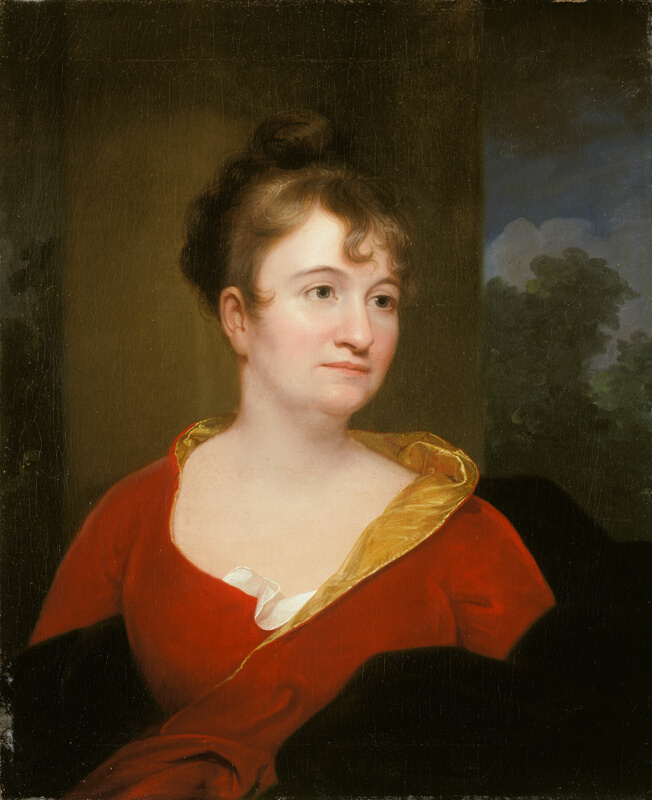 Abigail Bradsford was from a well-respected family of Philadelphia. She married John Inskeep who ran a successful publishing business. Rembrandt Peale painted both of their portraits, but in Abigail's, her head is tilted away from the viewer as was custom in that era. Women in the public arena averted their eyes so as to remain aloof to the mundane affairs of the world. Peale painted Abigail to include more female subjects in his portraiture collection. Matisse painted his wife Amelie in expressive colors and loose brushstrokes. The portrait was very controversial and marked a "stylistic change" from his earlier works. Woman with Hat also legitimized the burgeoning art movement: Fauvism. Fauve, meaning wild beast, may refer to the brightly colored paints used in their art. Lilla Cabot Perry (1848-1933) painted with the Impressionists and became a close friend of Monet. She was married and a mother of three daughters. Perry also wrote poetry and published a collection of her poems : The Jar of Dreams. There is some mystery in the name of this portrait. For some thought the Lady was Lilla's sister as she resembles another women in Perry's paintings. Also, the violets referred to in the title are not the flowers in the painting. These flowers are pansies when looking closely. It has been conjectured that Perry may have used the scientific classification of the word violet as meaning a small flowering annual of the viola genus which includes pansies. !